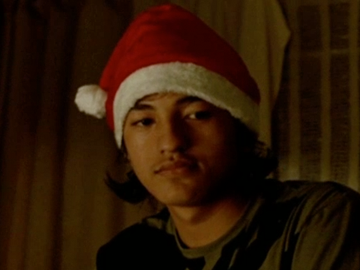 Music video director Sam Peacocke's confronting first short film reimagines the events that took place around the robbery of a Manurewa liquor store in 2008, in which owner Navtej Singh was tragically murdered. The film takes a kaleidoscopic perspective on colliding South Auckland lives, notably in an — almost unbearably — tense hold-up scene. Largely shot with non-actors, the production was self-funded. The result was selected for the Melbourne and Berlin Film Festivals; at Berlin it won the Crystal Bear for best short in the Generation 14plus youth section. From the icons (Sky Tower, Otara Market, Rangitoto, The Bridge), celebs, clans and stereotypes (Jafas), to the streets (Queen St, K Road), and Super City suburbs (Ferndale, Mt Raskill, Morningside), this collection celebrates Auckland onscreen. Reel through the moods and the multicultural, metro, muggy charms of New Zealand’s largest city. In this backgrounder, No. 2 director Toa Fraser writes about Auckland as a place of myth, diversity and broken jaws. The award-winning directing debut of actor Tammy Davis (better known as Outrageous Fortune’s Munter) is a South Auckland-set Christmas tale. Young Vinnie (Darcey-Ray Flavell-Hudson of Ghost Chips fame) and Jonah (James Ru) are bored on the mean streets — tagging, BMX-ing — when Jonah peer pressures Vinnie to join him in breaking and entering a house. When they find more than Christmas pressies inside, it tests mateship, moral codes and festive spirit. Crowned Best Film at Flickerfest, Ebony Society was selected for the Berlin and Sundance film festivals. DIY first flyer Richard Pearse aptly leads off this three-part 1982 series on the history of aviation in New Zealand. Presented by pilot Peter Clements, the survey of the pioneers of the “birdman’s art” covers daredevil balloonists, World War I fighter pilots, flying bishops, and frontrunners like the Walsh bros and George Bolt. A forgotten silver treasure from the archives is footage of Percy Fisher’s monoplane, filmed on a hand-cranked movie camera in the Wairarapa in 1913. The series was made for TV by veteran director Conon Fraser and the National Film Unit. This Asia Downunder episode is a half-hour special on Asian religions. Two Muslim brothers are interviewed about their faith, followed by a comparison of the Islamic faith with Christianity. The revival of interest in the Catholic church is explored, then the show visits the sikh temple in Manurewa Sikh. Hinduism and Buddhism also feature, while in the kitchen Geeling Ng (Gloss) rustles up some Chicken in Adobo Sauce. This debut episode of a not completely fictional series follows Wayne Anderson, “Manurewa’s greatest singer”, and his attempts to break out of the rest home circuit and find fame and fortune. Wayne dreams of taking the evergreen music of his idols Engelbert and Elvis to the world. But even his manager’s show business links — he works in a video store — aren’t bringing in the 50 dollar gig needed each week. 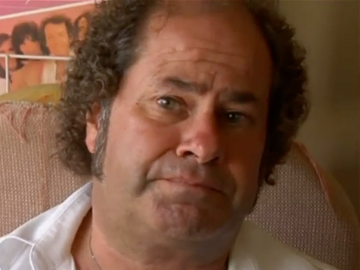 Things may be looking up with the best perm Wayne’s ever had, plus an audition in a Karangahape Road bar. As a non-driver, he will have to get there by bus. This long-running reality series, made for TVNZ, follows the lives of dogs and their handlers: "fighting crime, saving lives", and helping protect New Zealand’s streets and borders. The very first episode sees the dog squad diffuse a street brawl in Manurewa, nab a runner from a crashed stolen car, and bust a visitor trying to smuggle contraband into Waikeria Prison in the Waikato. 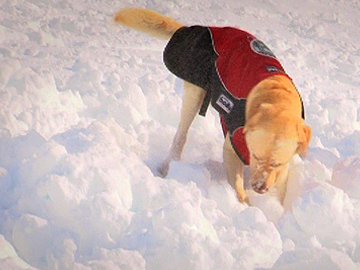 Plus avalanche rescue dogs are trained at Mt Hutt ski resort. This first Dog Squad series was produced by Cream Media (the company was taken over by Greenstone TV in 2010). Wayne Anderson is a man out of time. His three and a half octave voice and undying devotion to the “evergreens” of popular music (Elvis, Engelbert and Tom) should surely have seen him in Vegas by now. However, despite the best attempts of hapless manager Orlando, Wayne’s star has never ascended higher than the rather less lucrative Manurewa rest home circuit. The cameras follow him in his quest for a show business career – along with the perfect perm and hot pie – in a series where the boundary between fact and fiction is as elusive as that big break. 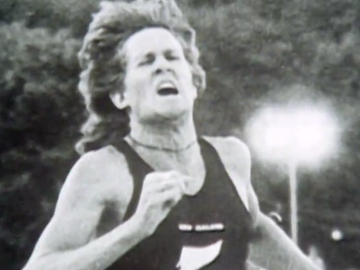 On the eve of the 1976 Montreal Olympics, this Keith Quinn-scripted profile traces the career of athlete John Walker, from being a training averse teen at the Manurewa Harrier Club to his world mile record triumph in Göteborg, Sweden. Walker still smarts from his second place to Filbert Bayi in the 1500 metres at the 1974 Commonwealth Games. What are euphemistically referred to as "political implications" (Kiwi sporting ties with South Africa) have prevented further match-ups — and they'll ultimately remove the Tanzanian from the race so keenly anticipated here. 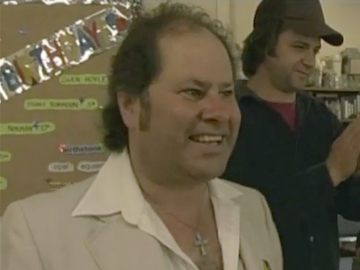 This first episode in the second series made about “South Auckland’s finest singer”, Wayne Anderson, sees his career at a crossroads. Poor sales have torpedoed his breakthrough concert at Sky City and his manager, Orlando, is preoccupied with his new job at a car park. Still, there’s a gig at Acacia Cove — the most glamorous venue on the rest home circuit; and Wayne is now getting styling advice from Faye (a fellow member of the Elvis Presley Fan Club). Even more exciting is the prospect of taking his music to Manukau with his own radio station.